Carriers over at the US are tripping over themselves to brag about their 4G LTE networks, but adoption across the pond has been limited. Things are changing though - Everything Everywhere is rebranding itself as EE and will be rolling out the first 4G LTE in the UK. The service, called "4GEE", will cover a third of the population by the end of this year. As you would expect, that means covering the big cities - Belfast, Birmingham, Bristol, Cardiff, Derby, Edinburgh, Glasgow, Hull, Leeds, Liverpool, London, Manchester, Nottingham, Newcastle, Sheffield and Southampton. 4GEE will be available to phones and laptops. Five LTE-enabled phones will be available initially - the Samsung Galaxy S III LTE, the new Nokia Lumia 920 and Lumia 820, the HTC One XL and the Huawei Ascend P1 LTE. Huawei will also be providing a mobile Wi-Fi hotspot powered by LTE and a USB stick. 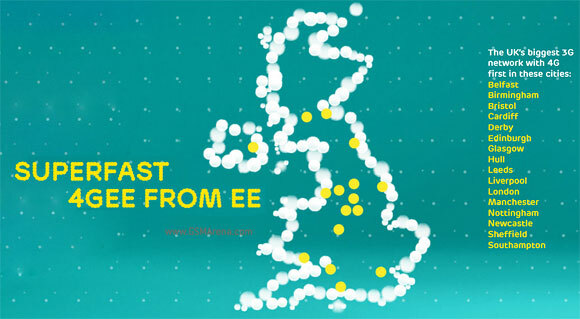 EE has plans to roll out fiber broadband to homes and promises lower prices if you get both fiber broadband and 4GEE. The T-Mobile and Orange brands won't disappear - their stores will remain intact, but you'll have to go with EE if you want 4G.